After a much longer hiatus than I had intended I am finally back at it. However my articles will not be a regular as in the past. Health issues will do that to a fellow. Compared to last winter birding this year has been rather poor. Yes, we do have the standard chickadees, sparrows, woodpeckers and a few Bohemian Waxwings but noticeably absent are the nuthatches, redpolls and Pine Grosbeaks. Hopefully, things pick up soon. Although, I have not seen one this year I have had several reports of the little Boreal Owl present locally. It is nice to have this bird back again this year. We went to Mexico for a short vacation since my last article and I do not want to miss the opportunity to write about a Mexican bird that we saw there. 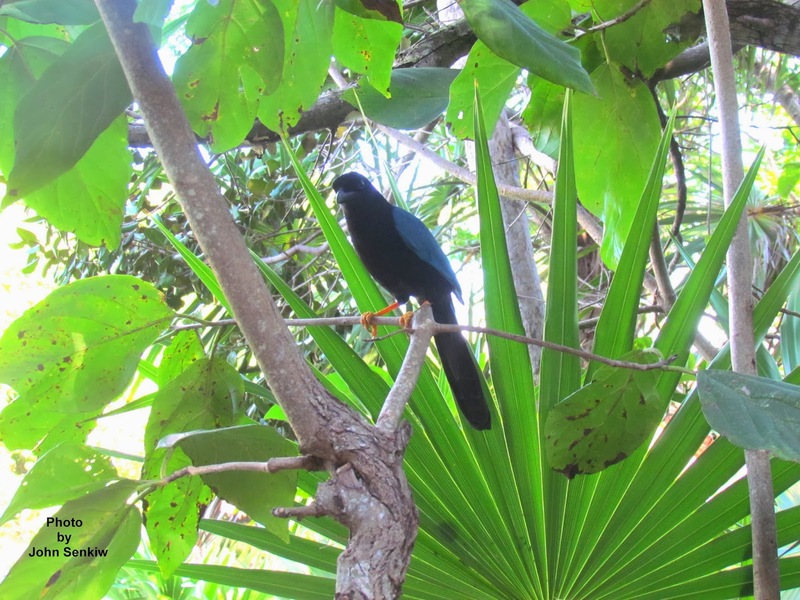 Therefore, this week's bird is the Yucatan Jay which is exclusive to Mexico especially the Yucatan Peninsula. Several years ago this jay wandered far north of its normal range and wound up in the Rio Grande Valley in Texas. It caused quite a stir in the birding community with birders swarming to see it. We passed on this sighting as the trip was an hour and a half one way and we had seen the bird previously on an earlier trip to Mexico. 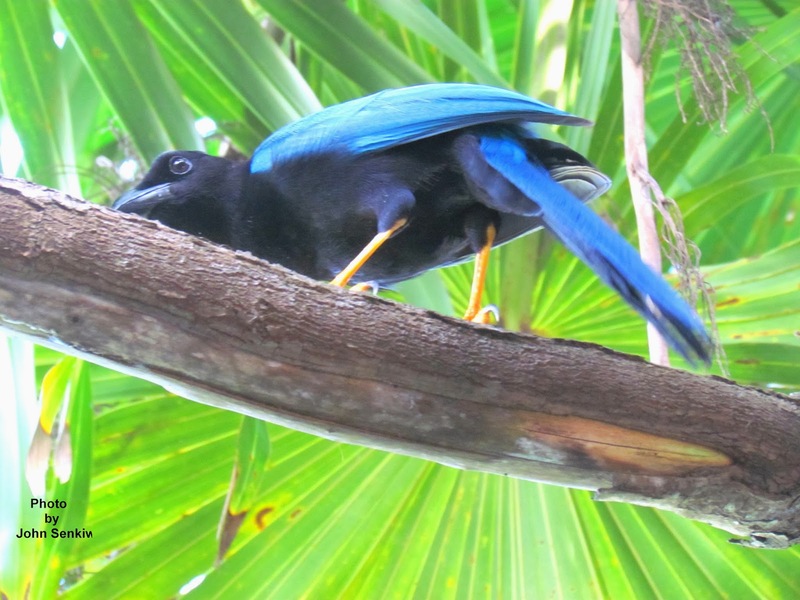 The Yucatan Jay looks very similar to the very common Stellars Jay of the Rocky Mountains with two differences. Like the Stellars Jay the bird is a deep and even dark blue all over including its head and neck but with a black breast as well. The crest is absent. Being a typical jay it likes to hang around people where it is constantly looking for scraps of food left over from a lunch or snack. I got these pictures in early December of 2013 eating popcorn that we provided for them.